These elegant tree belts are a unique way to remember your loved one surrounded by the beauty of nature. Made from strong Velcro fabric and genuine polished brass fittings, they can be engraved with a special name. They are fully adjustable and can be placed around trees, posts, along pathways and wooded areas etc. All fastenings are also Velcro and therefore easy to fit to any size. These wonderful tree belts, will give years of service and will remind everyone about your special person, long after the flowers are gone. We can arrange to have this product engraved for you at a small additional cost. If you would like this service please ring our sales office on 01691 610952. Lovely polished brass & Velcro memorial tree belts. 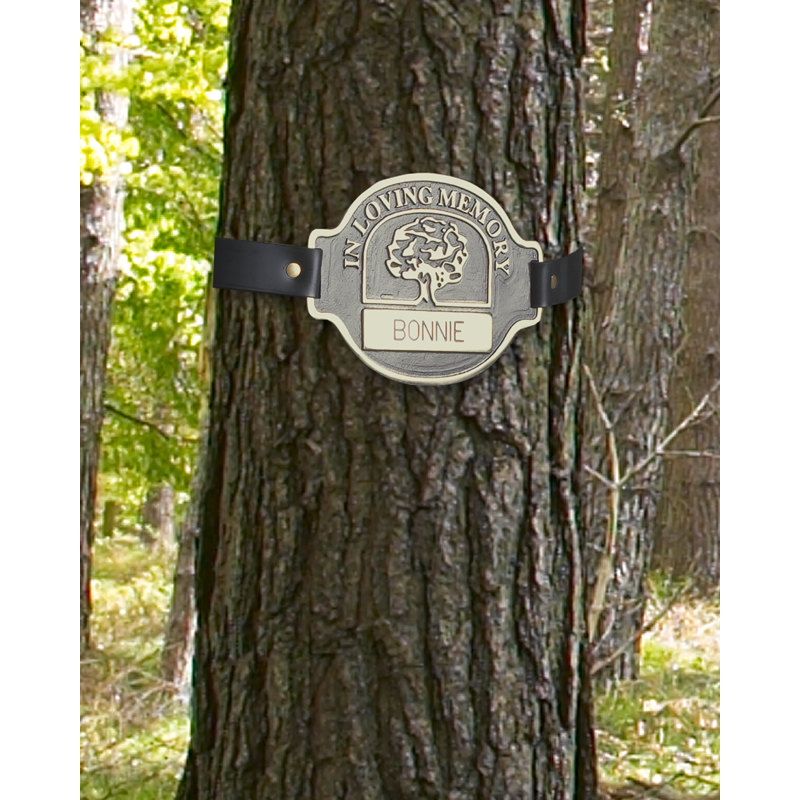 These tree belts are made from sturdy Velcro material with brass fittings and an embossed plaque which can be engraved with a simple message or name. 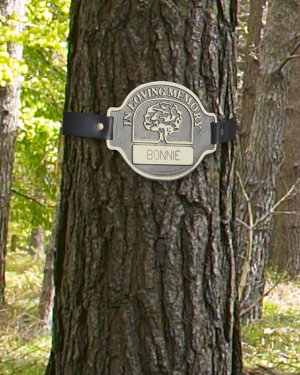 The belts will fit trees or posts from 10" to 13" diameter and the plaques come in three sizes. If you are interested in having this product engraved, please drop us a line on 01691 610952 for the options available.